CNN is reporting that Congressman Jim Jordan, the top Republican on the Oversight Committee, and his fellow Republican Congressman Mark Meadows are asking the DOJ to investigate Michael Cohen for perjury. CNN’s Chris Cillizza authored a breathless analysis asserting that Michael Cohen’s life is over if he did perjure himself when Cohen declared he did not want a job in the Trump White House. This is reminiscent of the now infamous moment when Republican Congressman Clay Higgins insisted that authorities need to go seize boxes from Michael Cohen’s storage facility. In that bizarre moment, Higgins failed to properly register Cohen’s perfectly valid explanation that these boxes had been seized by authorities months ago and then finally returned to him. Jordan, Meadows, and CNN are similarly failing to register Cohen’s perfectly valid seeming explanation that he was offered a job by Trump in the White House Counsel’s Office, and his counterargument to Trump that he should instead be his personal attorney. If this is true, the only lines of Cohen’s testimony that appear to be in question are the several times when he said he did not want any job in the White House. In order to be guilty of perjury, Cohen had to have knowingly misled or lied to Congress about something materially relevant. It is easy to argue that Cohen believed what he was saying, because his testimony has to be considered in context. 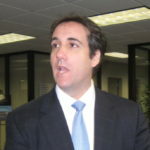 He was responding to a Congressman who asserted that Cohen was angry that he had not been offered a job in the White House, to which Cohen countered that while he was offered a job in the White House, he did not want a job in the White House, and he argued instead for the job he was given. Sure it would have been better if Cohen had only said he did not want the job he was offered, and he got the job he asked for instead, but this is nowhere near meeting the standard of perjury, and you would think the Republican Representatives know it. Then again, these are the Republicans who asked law enforcement to go chasing after Michael Cohen’s boxes because they failed to understand the testimony Cohen offered. We all know the real purpose of these antics is to create another diversion from Donald Trump’s criminal activities. It won’t work.